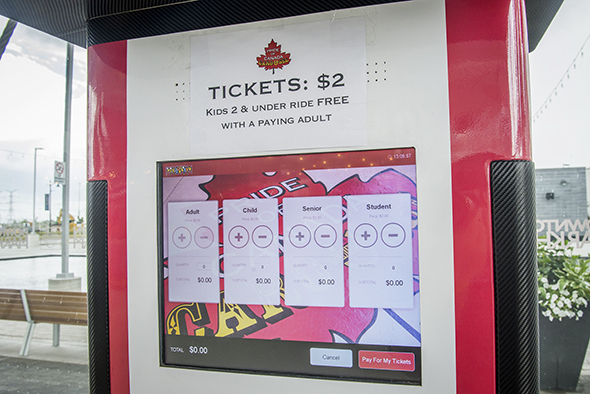 Step right up to downtown Markham! The growing Toronto suburb may not get an NHL arena, but it does have a new designated downtown area (by Warden and the 407) complete with condos, offices, chain restaurants and a movie theatre. 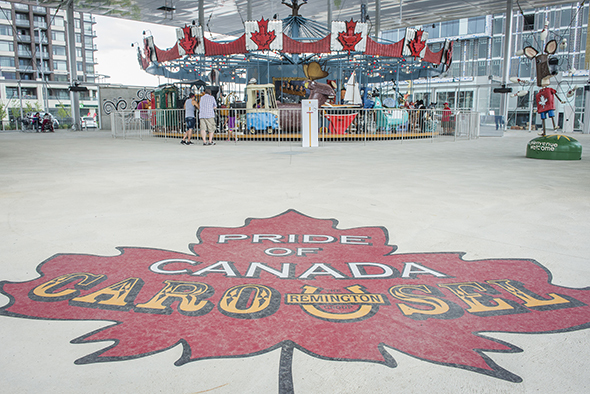 Yet the burgeoning neighbourhood's crown jewel is the Pride of Canada Carousel. 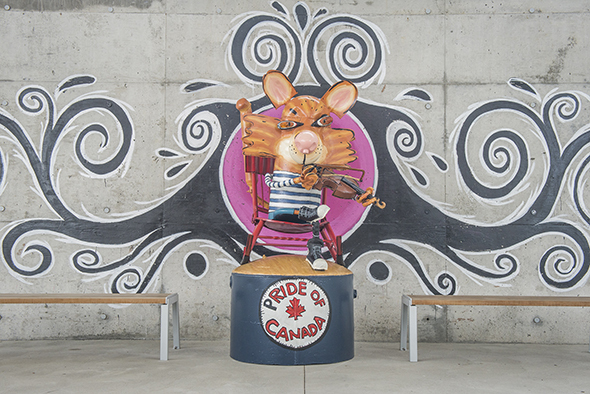 Created by artist Patrick Amiot for the Remington Group (downtown Markham's developer), this rideable found art installation features Canadiana kitsch and 44 sculptures that act as seats. 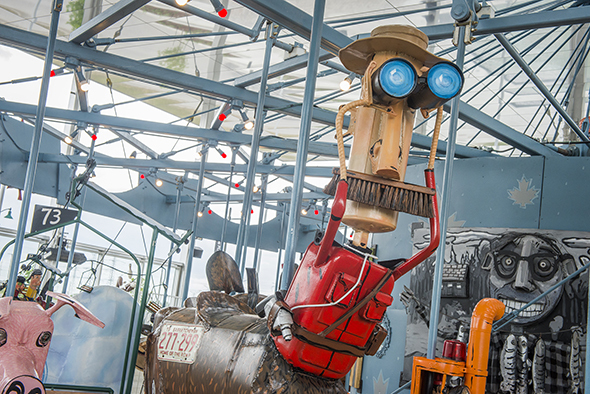 Instead of horses, Amiot's merry-go-round lets visitors whirl around on train cars, moose, beavers and a mountie. You can find the Pride of Canada under an open glass pavilion designed by well-known Toronto firm Quadrangle Architects. 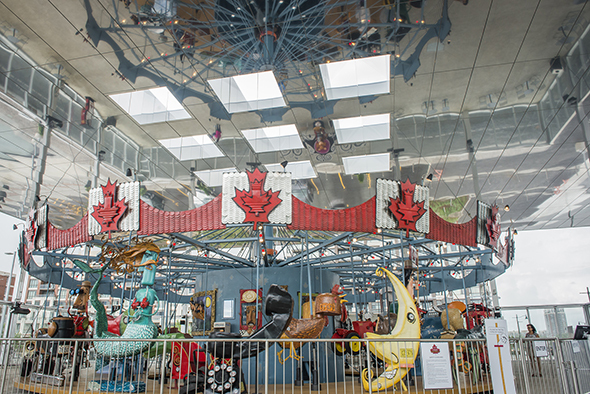 It'll cost you $2 to hop on this recycled, solar-powered carnival ride. And once you're in Markham, you might as well take a quick drive up Highway 7 to Main Street Unionville, or if you're hungry venture towards the Pacific Mall for some of the best food just outside of the city.